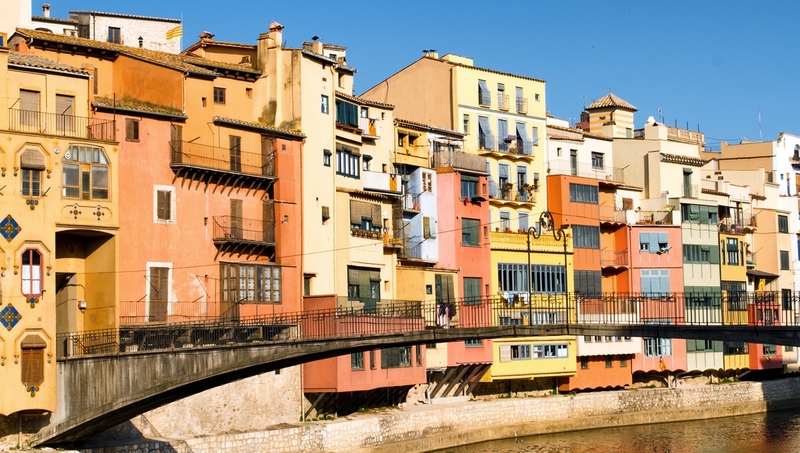 Catalonia’s largest city is Girona, Spain. Whether it’s the ancient, cobbled streets, and medieval baths or the dramatic coast speckled with arcaded houses, a trip to Girona is filled with things to do and see. Here’s our top 7. 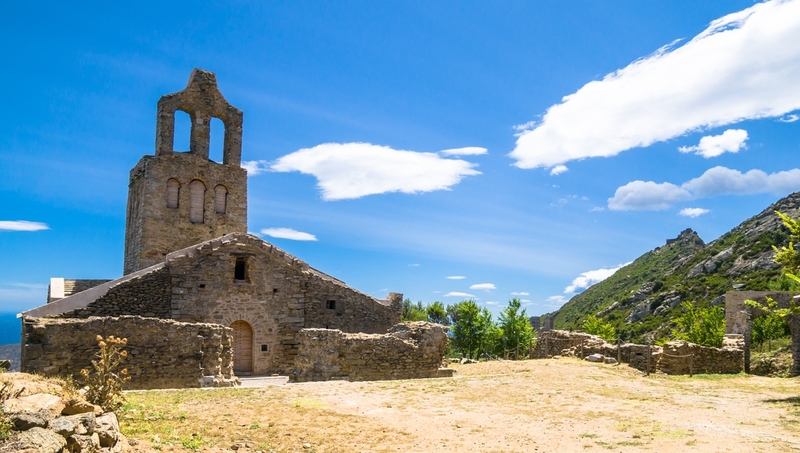 Girona history and natural beauty meet at this ancient monastery. The view alone from the top of the hill looking over the Mediterranean coastline is worth the hike up there. 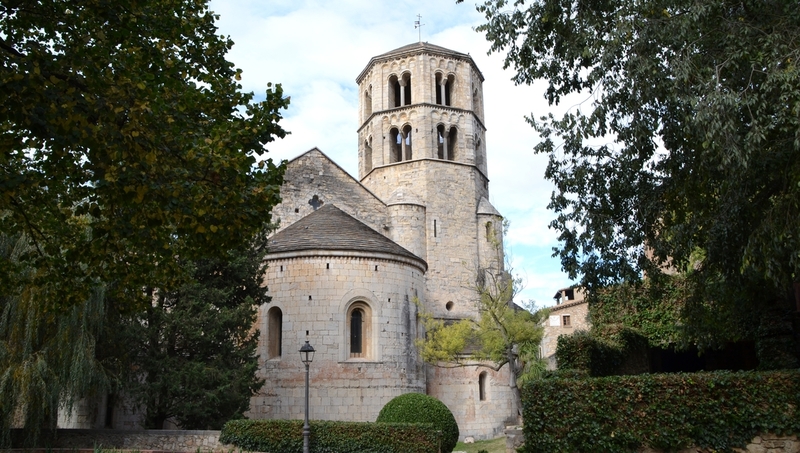 Another monastery, Sant Pere de Galligants, also features a concise museum that houses artifacts from prehistoric to Roman times. You can’t miss the river Onyar during your visit to Girona. Cross the Eiffel Bridge for picturesque scenery of colorful houses and lovely bridges. This magnificent building is absolutely breathtaking, full of history and architectural beauty. On Sundays, entrance is free. Do not miss this excellent museum, dwarfed next to the Cathedral, despite its five floors of religious art. 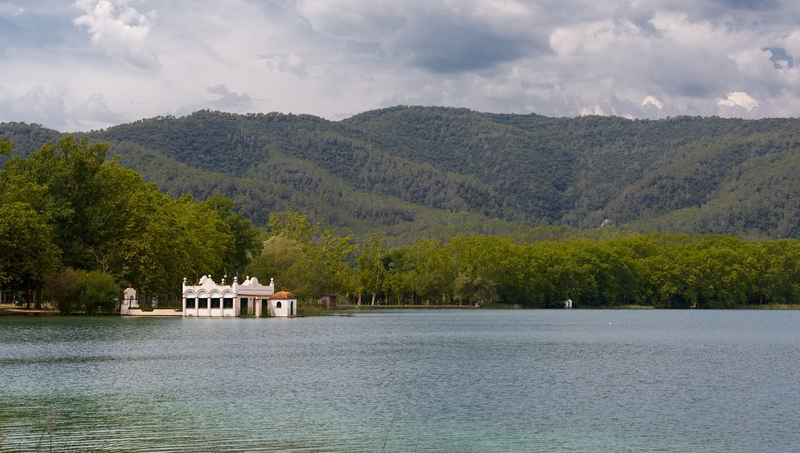 Take a quick bus to Banyoles for an afternoon of relaxing by this gorgeous lake and wandering through its surrounding old town. The focus of Museu del Cinema is on the development of film and early advancements in the moving image. It’s highly informative and interactive, a necessary visit for all ages. The Girona weather is warm but not too hot yet, perfect for strolling along the coast. Easter is an incredible time to visit Costa Brava. Girona is filled with joyous religious festivals and parades. Of course, summer is best for Girona beaches. Pay the full price at the first museum and then half off entry at all the others. 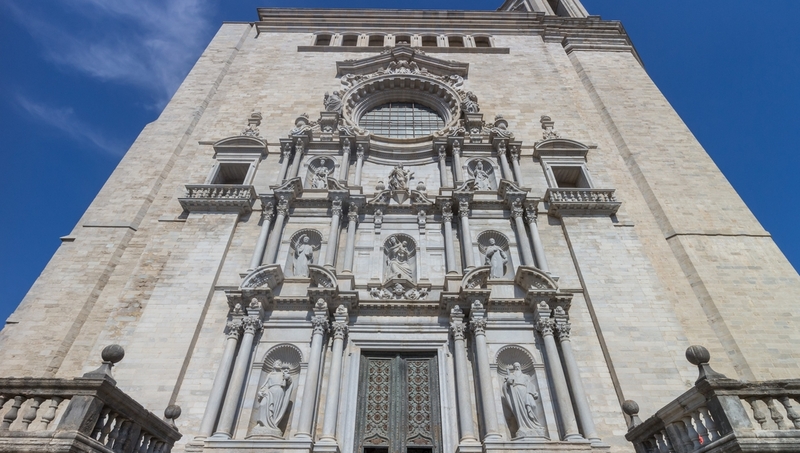 Getting the GironaMuseus Card will be worth it if you plan to see more than one of the five major Girona museums. There are a few options for getting between Girona and Barcelona. You could rent a car and drive north an hour and a half to Barcelona, or maybe your flight arrival will fall conveniently with a scheduled Barcelona Bus or the train. A taxi would cost 120€, which might not be so bad if you’re splitting the cost with a group. Plan your visit in the spring, when the temperatures are warm and comfortable. If you can, try to visit during the Easter celebrations for an unforgettable experience! Want to discover all there is to do in Girona? Click here for a full list. An excellent tour with a knowledgeable guide. Our guide, Marc, was a wealth of information on a variety of topics, and was great at pointing out little details about the city, like walls built by Charlemagne, Roman walls, the bridge built by Gustav Eiffel, bits of Jewish history, and the locations from the Game of Thrones. He was very willing to adjust the tour based on our interests and questions, but also volunteered relevant anecdotes and details. We've learned a lot about the history of Girona and would highly recommend this tour.